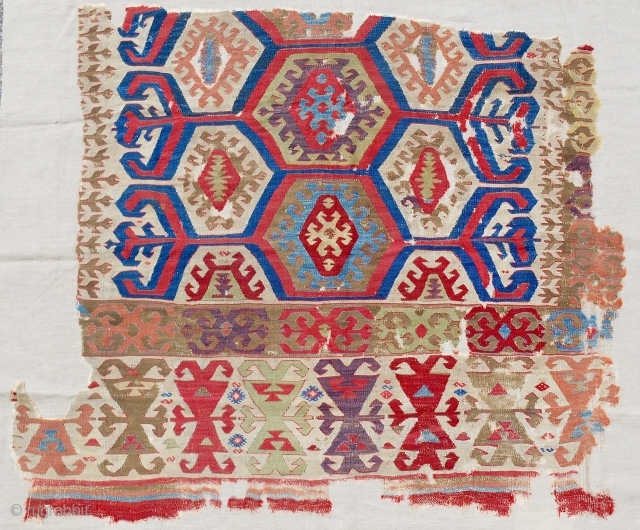 18th c. Central Anatolian kilim fragment. Mounted. Sale price.